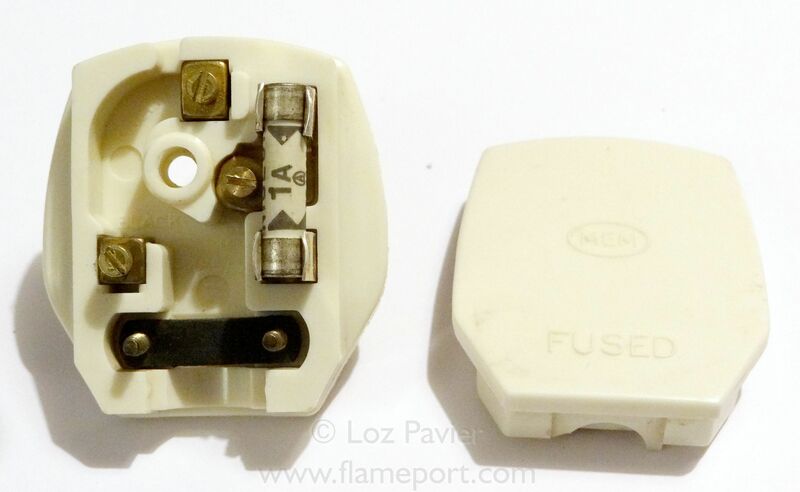 White plastic plug by MEM, fitted with 1A fuse. Pictures and text provided by Loz Pavier. An early MEM (Midland Electrical Manufacturing) Plug. Squarer than the more commonly seen MEM plug made of hard bakelite type plastic. 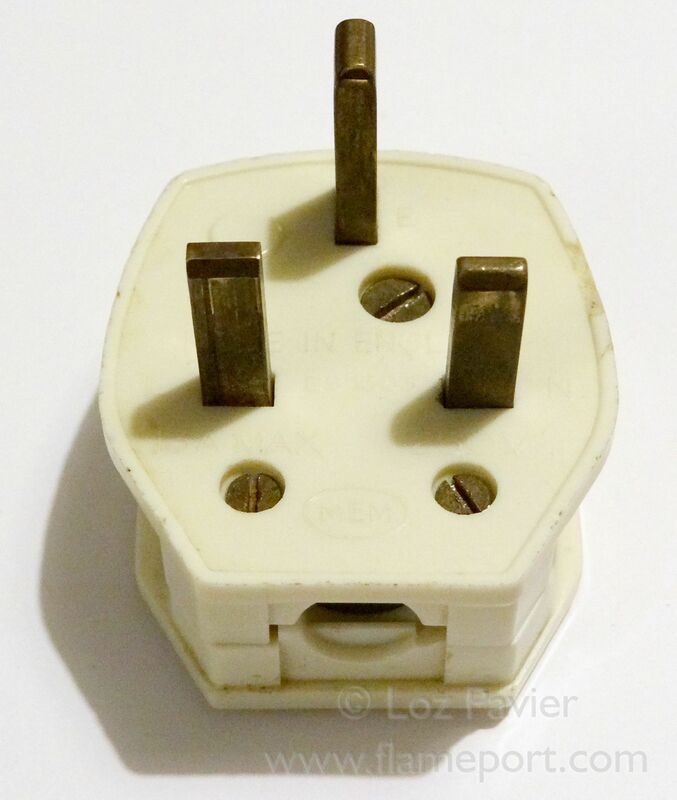 There is a small chip to one edge of the plug. Inside, the pins and cover screw are of the type that fall out when turned upside down. The cord grip is made of compressed cardboard. The plug is fused with a more unusual 1a fuse. 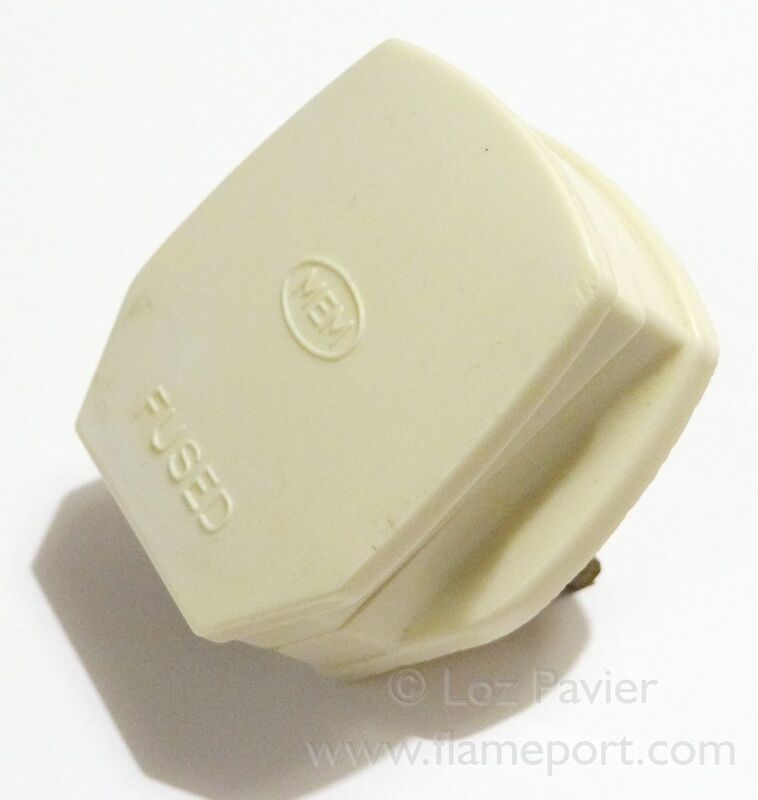 Although ASTA certified and to BS1362, this fuse is no longer recognized by the regulations. Against each terminal, is written a corresponding 'Red, Black, Green', the old colors for Live, Neutral & Earth, which dates this plug as pre 1969. Despite this, the user has connected it to a more modern appliance.